One author of the article, Jack Resneck, Jr., MD, professor and vice chair of dermatology at the University of California, San Francisco, said that the “appropriate solution is probably to have new CPT codes that will be valued appropriately for skin brachytherapy.”2 And, in January 2016, new category III codes from the American Medical Association for the treatment of skin cancer took effect. For HDR EBT, skin surface application, per fraction, including basic dosimetry, the code is 0394T. While the American Academy of Dermatology’s 2014 position statement on EBT for NMSC supports consideration of EBT as a secondary option for basal cell carcinoma (BCC) and squamous cell carcinoma (SCC) in special circumstances when surgical intervention is contraindicated or the patient refuses surgical management, it states that surgical management is the most effective treatment for BCC and SCC. The statement also calls for additional long-term outcomes research on EBT use. While no long-term outcomes data currently support the efficacy of EBT, a handful of single-center, short-term outcomes data show promise. The authors followed The American Joint Committee on Cancer (AJCC) criteria for inclusion of patients with clinical stage T1 or T2 status. The maximum diameter was 20 mm with a maximum depth of 3-4 mm measured by ultrasound or punch biopsy. A prescription depth of 3 mm was determined for lesions with a depth of < 3 mm while deeper lesions had a maximum depth of 5 mm. Based on recent data supporting a 2 mm dermoscopically detected excision margin that achieved histologically confirmed complete excisions in 98.5% of cases,10 the authors utilized a dermatoscope to assess gross tumor volume (GTV). The authors determined a biologically equivalent dose (BED) of around 70 Gy with an alpha/beta value of 10; the selected dose prescription was 42 Gy in 6 fractions (7 G/fraction) twice each week for a total BED of 71.4. A quality assurance check was performed each day before treatment. The authors found that the Esteya system was simple for both providers and patients, allowing for safe, precise treatment of NMSC. While there is unquestionably a need for continued research examining patient outcomes after treatment with EBT for NMSC, early data looks promising in terms of cosmesis, toxicity and short-term response. While Mohs surgery will remain the standard of care for many NMSC patients, EBT provides options in cases where surgery is not a viable, or patient-preferred, therapy. Linos E, VanBeek M, Resneck JS. A sudden and concerning increase in the use of electronic brachytherapy for skin cancer. JAMA Dermatol. 2015;151(7):699-700. Castellino AM. Concerns over sudden increase in radiation for skin cancer. Medscape, October 21, 2015. http://www.medscape.com/viewarticle/852921. Accessed May 17, 2017. Kasper ME, Chaudhary AA. Novel treatment options for nonmelanoma skin cancer: focus on electronic brachytherapy. Med Devices (Auckl). 2015;8:493-502. Bhatnagar A. Nonmelanoma skin cancer treated with electronic brachytherapy: Results at 1 year. Brachytherapy. Mar-Apr 2013;12(2):134-140. Pons-Llanas O, Ballester-Sanchez R, Celada-Alvarez FJ, et al. 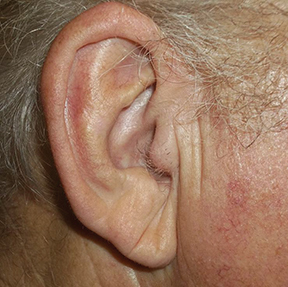 Clinical implementation of a new electronic brachytherapy system for skin brachytherapy. J Contemp Brachytherapy. 2014;6(4):417-423. Caresana G, Giardini R. Dermoscopy-guided surgery in basal cell carcinoma. J Eur Acad Dermatol Venereol. 2010;24:1395-1399. Massat MB. 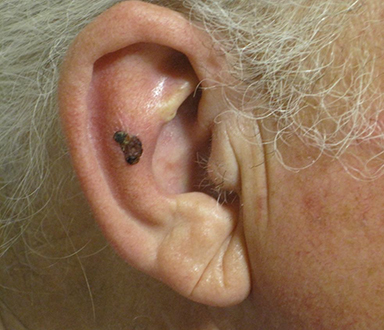 Electronic brachytherapy for skin cancer: Problems and progress. Appl Rad Oncol. 2017;6(2):24-25.